I would like to congratulate Wapiti bowyer Keith Chastain for completing a 15 year quest to kill an Arizona coues deer with his bow. 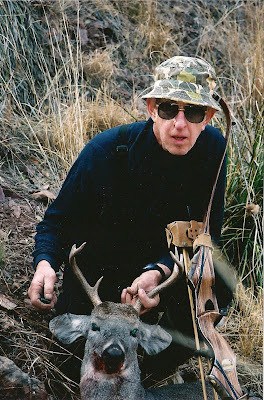 Keith used his own "Duggan Special" Wapiti takedown and Woodsman broadheads for his hunt. Congrats on finally getting your coues deer Keith!